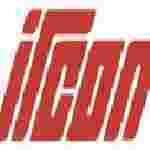 IRCON Public relation officer recruitment 2016-17 notification : IRCON international limited welcomes application for the position of 01 Public relation officer (PRO) vacancies on contractual basis at its corporate office, New Delhi. Candidates who completed their Master degree, PG Diploma, degree is a good opportunity.The individuals who are the occupation seekers searching for govt employments in New Delhi this is the best chance to apply. Competitors read the official notification then read all the guidelines and miners precisely then apply before the last date online application got. All the interested and eligible candidates can apply before 26th August 2016. Candidates Age Limit: The age of the candidate should not more than 35 years. The age of the applicant should be as on 1st July 2016. Academic Qualification Details: Candidates should have full time master degree of journalism and mass communication / public relation or its equivalent or post – graduation diploma in journalism and mass communication / public relations from a recognized university or full time bachelor degree of journalism and mass communication / public relation or its equivalent from a recognized university. Process of applying for the job: Candidates may apply in prescribed application form along with self – attested copies of certificates of essential qualification and the envelope containing the application should be clearly super – scribed “Application for the position of “Public relation officer (PRO) on contractual basis – Advt No C-12 / 2016” send to the Joint General Manager / HRM, IRCON international limited, C – 4, District Centre saket, New Delhi:- 110017 on or before 26th August 2016.